Lady Gaga and Taylor Kinney Have Broken Up: Lady Gaga Spotted in Cabo Without Her Engagement Ring! 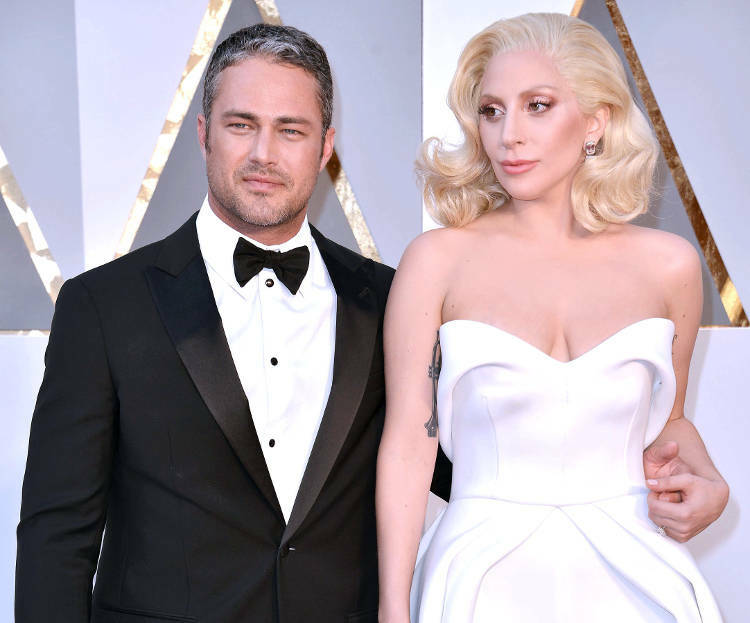 There’s some bad news for Lady Gaga and Taylor Kinney fans. The 30-year-old pop star and the 35-year-old actor have split after being in a relationship for five years. Allegedly, the couple headed for splitsville earlier this month. Rumors and speculations started circling when fans noticed that the previously well-publicized couple was suddenly absent from each other’s lives in social media posts and at public events. For all the heart-broken fans Googling, “Lady Gaga and Taylor Kinney Breakup,” “Lady Gaga Engagement Ring,” “Lady Gaga fiance,” and “Lady Gaga and Taylor Kinney engagement,” don’t go anywhere else for the details because you’ve come to the right place. Although it is unclear who did the dumping, long distance has been cited as the reason behind the split. Lady Gaga is said to be busy with her new album, while Kinny (the Zero Dark Thirty and The Vampire Diaries actor) is shooting for a show. The good-looking couple is proud parents to two French bulldogs, Koji and Miss Asia Kinney. We don’t know who will get custody of the pooches yet! Post break-up, Lady Gaga was spotted in Cabo, Mexico on a solo holiday. She was nursing her wounds sans her engagement ring and looked somber in a pink bikini by the poolside. The couple started dating in 2011 after they met on the sets of Lady Gaga’s music video, “You and I.” They split the following year briefly, but got back again after only a month. It looks like the two are definitely made for each other! In the latest news, Lady Gaga posted a black and white photo of her with her ex-fiance. Both are sporting caps and have their arms wrapped around each other’s shoulders. The caption read, “Taylor and I have always believed we are soulmates. Just like all couples we have ups and downs, and we have been taking a break. We are both ambitious artists, hoping to work through long-distance and complicated schedules to continue the simple love we have always shared. Please root us on. We’re just like everybody else, and we really love each other.” Awww! We hope this adorable couple resolves their problems and gets back together soon!